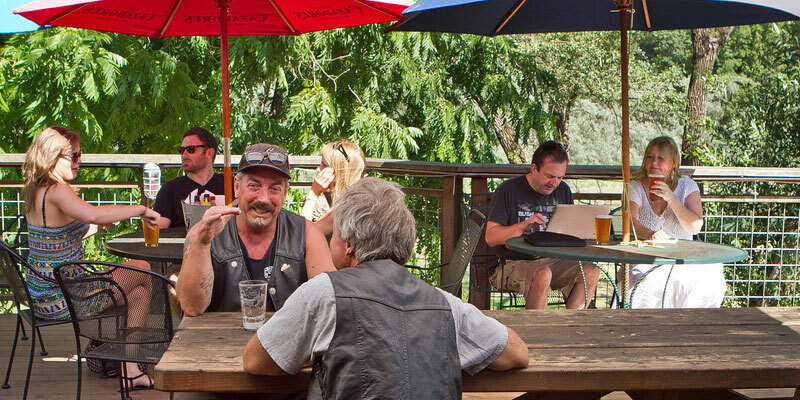 A big open deck overlooking the Russian River welcomes you to have a cold one and a meal. Bring the dogs, for there is a fenced area for them! Tons of house brews make this place more special than the usual beer bar. Try some grilled oysters or a burger.